My mother was unhappy with the standard of her piece of Jacobean embroidery so I took it from its inevitable demise into the bin. Using fabric left over from my curtains (my curtain maker, Metro Curtains in Morley, knows I love fabric so always bundles up the scraps for me), I made it into a cushion. 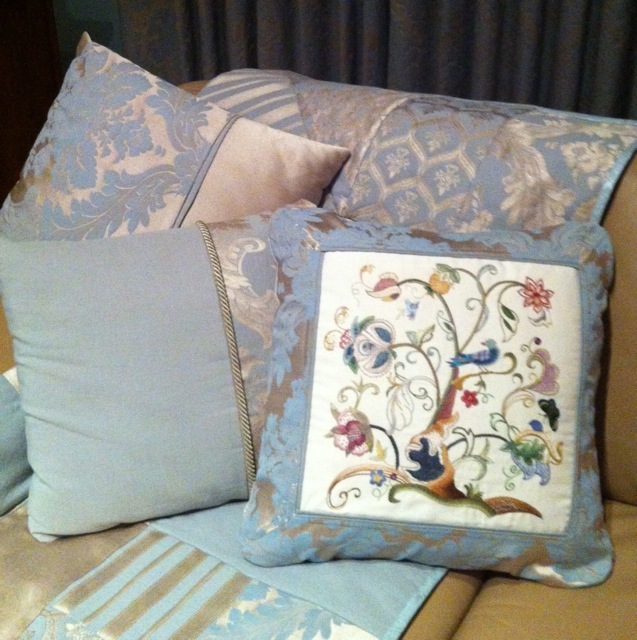 What a gorgeous piece of stitch… I love the details in the tree, and it looks so pretty against the blues… Love the throw too!